2 tree lined buildings nested in the woods in the west slope area of Portland. This unincorporated Washington County location is just off of Canyon Road across from the Lexus dealership just minutes from downtown and highways 217 and 26. Ample free parking available. On site owner managed. Spaces range from 150sf-3706sf. Rent includes, taxes, insurance and utilities. A one story office building located in a quiet residential neighborhood at the intersection of highways 26 and 217. 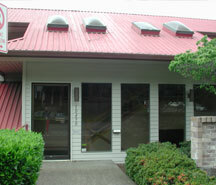 Small offices range in size from 175-582sf. All offices are uniquely designed with sound proofing material between the walls. Underground parking on site. 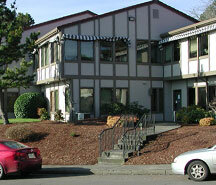 Within walking distance to the MAX station. Rent includes twice weekly cleaning, taxes, insurance and utilities. 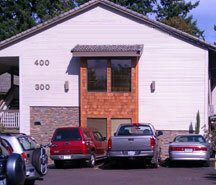 Located just minutes from downtown Beaverton on Hall Boulevard in the Greenway area. Spaces in this building range in size from 308sf-675sf. Rent includes twice weekly cleaning, taxes, insurance and utilities.